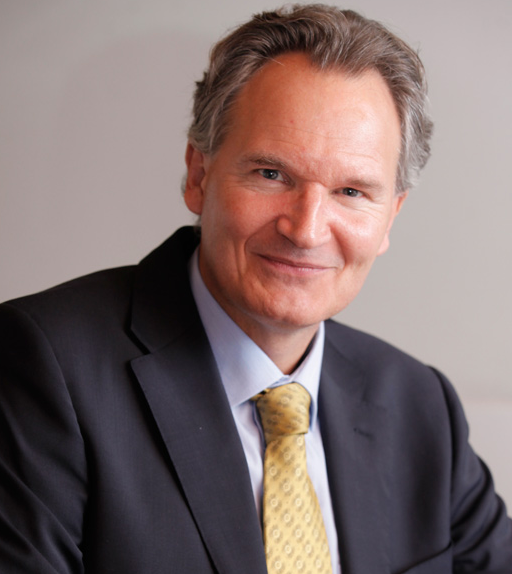 Robert-Jan Smits is Director-General of DG Research and Innovation (RTD) at the European Commission. In this capacity he is responsible for defining and implementing the EU policy and programmes in the field of research and innovation (average annual budget 8 billion euro). His previous assignment was Deputy Director-General of DG JRC where he was responsible for Programmes and Stakeholder Relations, Resource Management, and three Institutes, being the Institute for Energy, the Institute for Environment and Sustainability and the Institute for Prospective Technological Studies. Mr. Smits is chairing several high-level committees such as European Research Area Committee (ERAC), the Steering Committee of the ERC (ERCEA) and joint S&T committees with Europe’s key global partners. Mr. Smits has been instrumental in the development of several policy initiatives in the field of European science and innovation such as: the European Research Council (ERC), the European Roadmap for large scale facilities, Public-Private Partnerships in research, HORIZON 2020 and the Innovation Union. Robert-Jan Smits was born in The Netherlands. He has degrees from Utrecht University in The Netherlands, Institut Universitaire d’Hautes Etudes Internationales in Switzerland and Fletcher School of Law & Diplomacy in the United States of America.